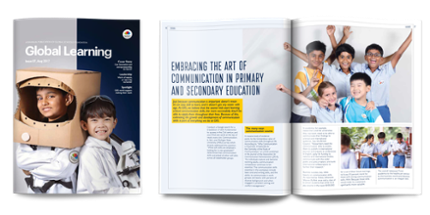 What is Global Learning Magazine? A bi-annual magazine highlighting the achievements of our different campus across the globe in the last 6 months. Read thought-provoking, in-depth articles on interesting topics like how to nurture an emotionally intelligent child, how an adequate expose to sports, communication and community service help in shaping a child become a global citizen. Feel free to share this with your friends and family on social media or forward it to others by email. Would like to know more about GIIS? Learn more about GIIS schools' activities on Global Schools News. Watch our videos on Youtube Channel.